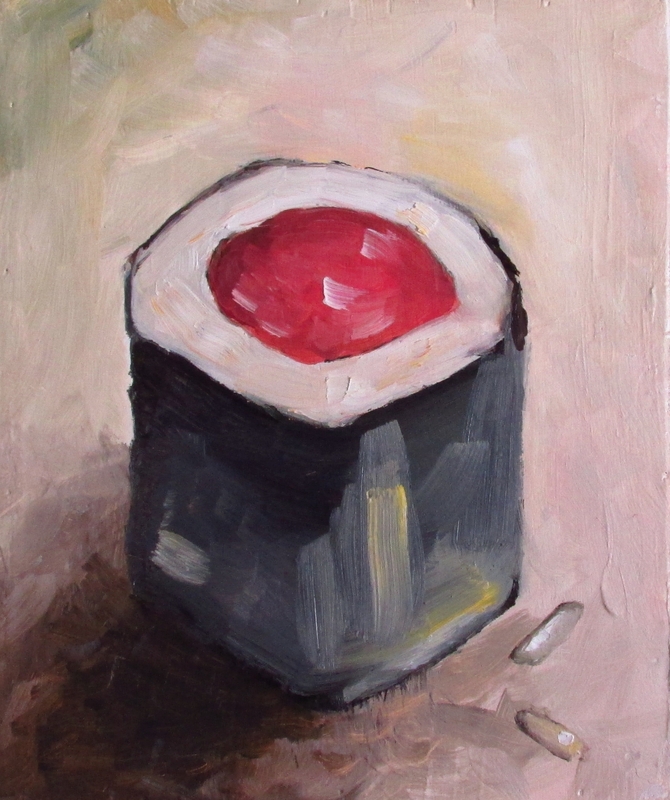 This is my “Simple Sushi” painting. My painting palette is really simple, which makes the painting process kind of interesting. I don’t own a tube of black. I always felt like black paint has ugly characteristics and doesn’t really belong anywhere in nature. My palette is red, blue, yellow and white. All you need is a little patience, but once you start mixing these colors the possibilities are endless. here is a sneak peek at a portion of the sushi series up for display! Let me know if it makes you hungry?